France, department of Eure, around 50 km south-east of Rouen and 30 km west of Gisors. The preceptory was located near “The Andelys”, in the parish of Harquency. 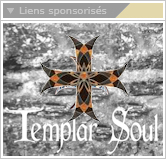 At the beginning of the 13th century, some people gave various properties, forests and land to the Templars, they began to reclaim and founded an establishment of their Order. Around 1219, Robert Crespin(1), Lord of Harquency and Farceaux, donated to the brothers of the Order of the Temple of Solomon 60 acres(2) of land and his wood that he owns in the parish of Harquency, at the place called "Bois de Bourgoult" and at "l'Epinaye". In addition to pasture(3) and pannage(4) rights , Robert Crespin also gave the Order, one of his men, a certain Pierre de Vesly, with his tenement(5) at Canteloup(6). In 1225, Guillaume V Crespin(7) donated to the Order 20 acres of land and wood adjoining the donation made by his uncle Robert, near the hamlet of Les Verrières. In 1227, Guillaume V Crespin signed a charter in which he confirmed the donations made by his uncle and himself to the house of the Temple of Bourgoult. In 1231, Dame Asseline, widow of Richard the Clozier de Longueville, gave the house of Bourgoult a half muid(8) of white wine to be taken each year during the harvest in one of its vineyards for the service of the chapel. Thereafter, the Templars continued to expand their estate by buying new land or exchanging some, notably with a certain Godefroy Gobelin in 1231 and with Lord Jean Crespin(9) in 1265. The domain of Bourgoult consisted of a large mansion or house, with outbuildings and a chapel, dedicated to Our Lady of the Temple. Around these buildings, the Order had 93 acres of tillage lands and meadows, and 33 acres of forest. Le Vert-Buisson - It was a small seigniorial estate of about twenty acres, located in the parish of Boisemont, given to the Order of the Temple in 1226 by the Knight Jean de Borrez. 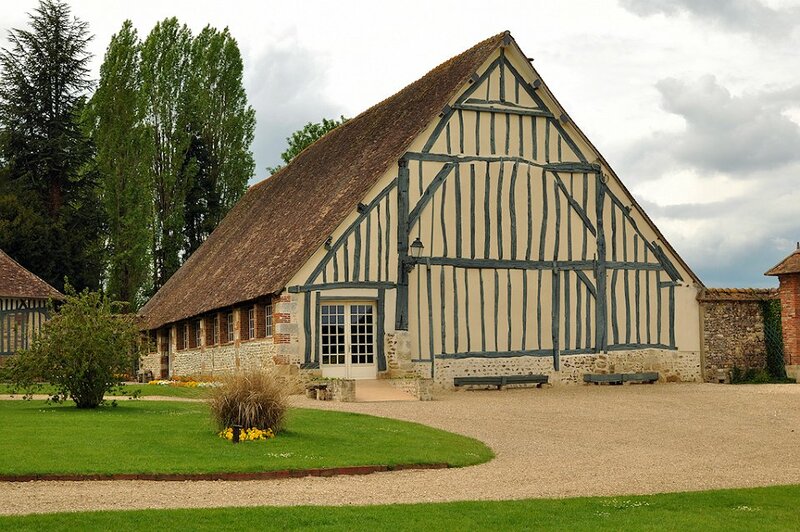 Le Mesnil-sous-Verclives - In 1222, the Knights Templars bought from Knight Amaury de Verclives an estate of 60 acres of land, crops, ... which he owned by Knight Jean de Borrez. Cahaignes - The domain of Cahaignes is the fruit of several gifts / acquisitions made by the brothers of the Order. These transactions were concluded : in 1198 with Raoul de Cahaignes ; in 1236 with Guillaume Bengnart de Autevesnes ; in 1239 with the religious of the Holy Trinity of Mont-de-Rouen ; in 1240 with Dame Ausende, widow of Jean de Viane ; in 1253 with Hugues de Grimonval. Vernon - The Templars are supposed to have had a "house"
Le Bois-Hibou - In 1235, the Templars of Bourgoult received an estate located on the parish of Saint-Vincent-des-Bois. This gift was made by Raoul le Flament de Saint-Vincent. They built a "house", which is mentioned in a charter of 1274, stipulating that Lord Richard de Gomont gives the Order several acres of its vines. Some authors mention this area of Bois-Hibou as a preceptory, others as "simple farm". Le Buisson-Hellouin - The Templars are supposed to have held land and a seigniory. After the dissolution of the Order of the Temple and the transfer of their estates to the Order of the Hospital of Saint-Jean, the preceptory of Bourgoult was reunited with the Hospitaller preceptory of Campigny, near Pont-Audemer. Today, many buildings have been preserved, rebuilt and / or renovated. The site is a private property, but part of the buildings, including the barn, is used for banquets, seminars, weddings, ... For any information on this subject, just contact the owners of the site. (1)Robet Crespin of Harquency was probably born between 1185 and 1190. He was the son of Goscelin Crespin and Isabelle du Plessis. (2)The acre is an old surface measurement unit. One acre was worth about 2 jugers (working day with an ox), that is to say between 40 and 50 ares. (3)The right of herbage is the right to pasture cattle on non-mown meadows for fattening. (4)The right of pannage is the right to pasture pigs in the forest so that they can feed on the fruits of the trees (acorns, faines,...). (5)The tenure or tenement means the portion of a seigniory occupied and cultivated by a free peasant (tenant) during the Middle Ages. This tenant has only the enjoyment of this land and not the property. (6)Canteloup is located about 1.5 km northeast of Bourgoult. (7)Guillaume V Crespin, born around 1215, died in 1260. He was the son of William IV Crespin and Eve d'Harcourt. (8)The almud is an old measure of volume, variable value according to the times, regions, and the nature of the measured goods. For dry materials (oat, salt, ...), an almud worth between 1.8 and 4 m3. For liquids (wine, ...), it was between 130 and 700 litres depending on the period or the region. (9)Jean Crespin, born around 1230 and died in 1297. He was the eldest son of Guillaume V Crespin. "Templiers et Hospitaliers en Normandie"